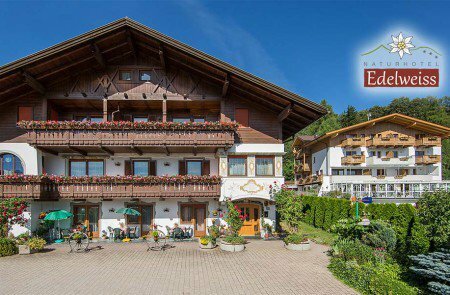 Those spending their summer vacation in our Nature Hotel Edelweiss can look forward to a vast network of bicycle paths and mountain bike trails. Mountain bikers will find trails of all difficulty levels at Plan de Corones. For example, the trail leading from S. Vigilio to the peak of Plan de Corones is considered one of the most challenging routes. 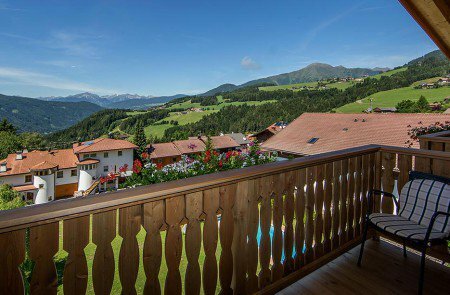 But once you have reached the top, you will be rewarded with a stunning panoramic view over the Dolomites and the Sarentino Alps. 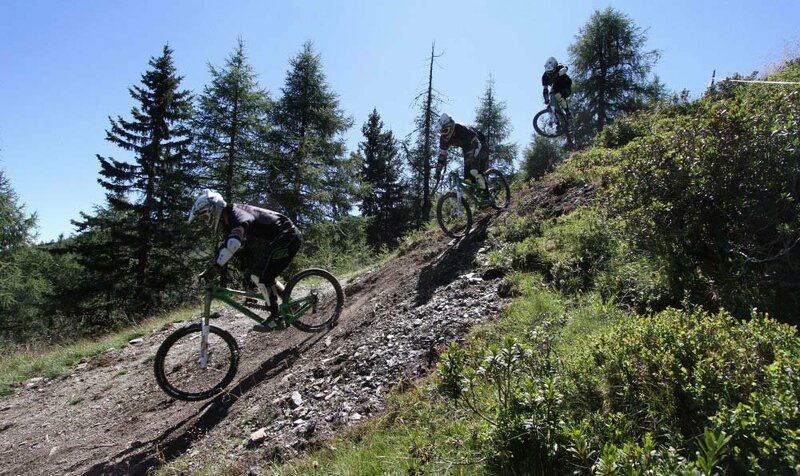 Experienced riders can also circle the Plan de Corones on their mountain bike. The partly asphalted track will lead you across lush meadows, through shady woods and will surprise you with a fantastic view over the Valle di Marebbe and the Sas de Putia. 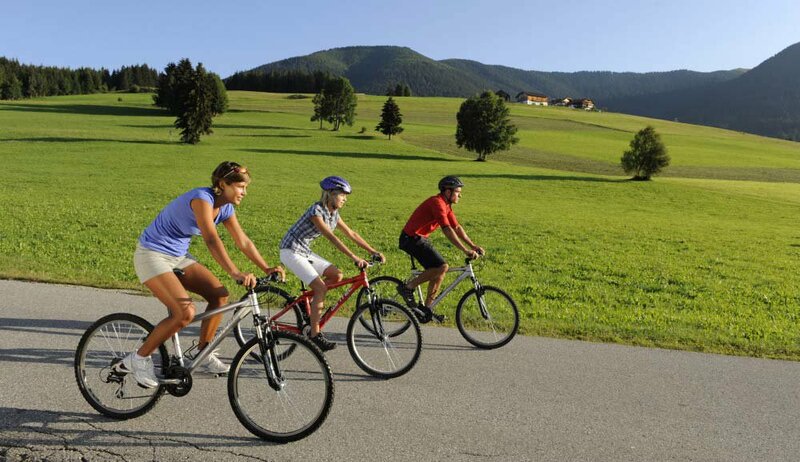 Of course, there are many bicycle paths that are great for families with kids! For instance, the Val Pusteria Cycling Trail is almost completely levelled and asphalted. Thus, it is a favourite for many racing cyclists! The perfectly maintained route leads from Rio Pusteria via Lower and Upper Vandoies to Brunico. Those who do not want to pedal along the entire rout of 105 km, can easily take the train. The Val Pusteria train connects Fortezza via Brunico with the Alta Pusteria. Many trains have special bike compartments which can be used the whole day with your train-bike ticket. Both cyclists and mountain bikers will find the perfect trail around the Plan de Corones.